W. D. Smithers, a photographer and writer, the thirteenth of fourteen children of Frederick William and Mary Isabel (Copland) Smithers, was born on August 31, 1895, in San Luis Potosí, Mexico, where his father was bookkeeper for the American Mining and Smelting Company. In 1905 his family moved to San Antonio, where he attended several grade schools but did not complete high school. Instead, Smithers worked at a series of odd jobs and learned to take and develop photographs through an apprenticeship in the studio of Charles W. Archer. The following year he constructed a camera, the first of several that he designed to enhance the camera's durability and portability. From 1915 to 1917 Smithers worked as a teamster for an army mule train. He traveled throughout the Big Bend area recording movements of the cavalry, the early use of planes by United States armed forces, and various efforts to suppress border unrest. He enlisted in the United States Cavalry in 1917 and shortly thereafter was stationed in Otay Mesa on the California-Mexico border, where he transferred to the Aviation Section of the Army Signal Corps. While he was stationed at Rockwell Field in San Diego, California, he taught military pilots aerial gunnery using the recently developed camera gun. He transferred back to Texas before he was honorably discharged on April 7, 1919. He subsequently returned to San Antonio in 1920. Smithers operated a photographic studio in San Antonio until 1929. He worked as a news correspondent and photographic freelancer for local newspapers. During this period Smithers pioneered a new facet of his profession, aerial photography. He made frequent trips to the Big Bend and Mexico, and much of his reporting documented early flights in the Southwest. His photographs were taken with the unofficial cooperation of the army air corps, from whose aircraft he took the pictures. His negatives were printed as "official" army air corps photographs. During this time Smithers designed a camera with a rigid bellows that was unaffected by the airplane's propeller blast. In the early 1930s border unrest prompted Smithers to return to the Big Bend area. He spent several years living on Elmo and Ada Johnson's ranch and was instrumental in persuading the United States Army Air Corps to establish an airfield there. 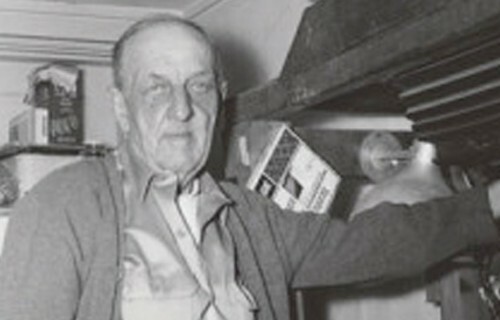 At the ranch he constructed a unique half dugout-adobe darkroom that employed sunlight as a light source for his enlarger. Army air corps photographic teams and National Guard reconnaissance units unofficially used the facility. In 1933–34 he recorded the construction of the University of Texas at Austin McDonald Observatory at Mount Locke, near Fort Davis; he then moved to El Paso, where he produced and sold postcards and lantern slides. Mel Brown is a professional aviation artist, with works hanging in the Pentagon and the Air Force Academy in Colorado Springs. He is a member of the Vintage Aviation Historical Foundation, author of Wings Over San Antonio published by Arcadia Publishing, and a contributor to the KLRN/PBS documentary Wings Over the Alamo.